Around 10 Rhode Island colleges and universities offer accounting degree programs, with around 5 schools offering advanced accounting degrees. With high salaries for accountants within the state, getting an accounting degree in Rhode Island can be a lucrative choice. If you’re looking to study accounting in this state, you can choose between some well-regarded institutions such as Bryant University, ranked 63rd in Businessweek’s nationwide ranking of undergraduate business programs. Bryant University students achieved the highest first-time CPA exam pass rate with an advanced degree in Rhode Island in 2013. The decision to enroll in a certain accounting program can influence not just the next few years of your life, but your whole career. It is in school that you gain the skills, experience and contacts that can set you apart from the many accounting graduates competing for a Big Four dream job. So how do you make the right decision? Information is key – don’t hesitate to ask a lot of questions! E-mail, phone and attend university open days in order to get a full picture of the school you are considering. Ask to see past achievements of students on the program, such as CPA exam pass rates, graduate employment rates and student awards – and make sure you check the most recent statistics, as the quality of a program can vary in time. Finally, make sure that the course offers a blend of advanced knowledge, technical competence and hands-on experience. Extra-curricular activities, volunteering, field trips and internships are essential to build up your CV while you study, so make sure your course takes teaching outside the classroom: as a graduate, this will be a tremendous asset. If your goal is to become an accountant, you cannot avoid hard work and challenges – but if your heart is set on business and finance, you’re bound to enjoy every step of this rewarding career path. Your accounting career starts with a solid education – a minimum of a four-year degree or, if you are aiming for a CPA license, 150 college credits usually taken over five years. It is more and more common for prospective accountants to complete a one-year Master’s degree in order to meet the CPA educational requirement. At the end of your studies, you will be faced with the challenging Uniform CPA Examination – a four-section academic exam that you need to pass before applying for a CPA certificate. Depending on your state’s rules, you will also need to pass an official ethics examination. 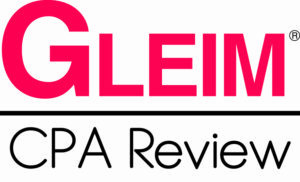 Finally, experience is an essential part of your preparation for a CPA career. 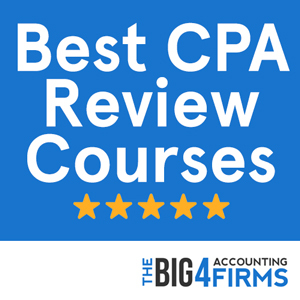 You will need one or two years of supervised accounting experience in order to start practicing as an accomplished CPA – but at the end of the road, you are likely to find that it was well worth the hard work. As a Rhode Island candidate, you may sit for the CPA exam prior to having completed 150 semester hours of college education, provided that you have completed 24 hours in accounting and 24 hours in business courses. However, in order to be eligible for a CPA license, you will need to complete 150 credits from an accredited college or university. You will also need to pass the Uniform CPA Examination in order to be granted licensure, and you will have to take the AICPA Ethics Examination within two years of applying for certification. Moreover, one year of accounting experience under the supervision of a CPA is required in order to become a CPA. If you’re pursuing an accounting career, Rhode Island is one of the best places to be: with a mean annual salary for accountants and auditors of $75,120 in 2013, Rhode Island rises well above the national average of approximately $65,000. Furthermore, accounting pay levels vary significantly in Rhode Island, from an average salary of approximately $48,000 (bottom percentile) to an average of $112,680 (top percentile). While accounting employment levels are not very high, this small state offers plenty of opportunities for motivated young accountants with its thriving business communities and lively metropolitan areas. 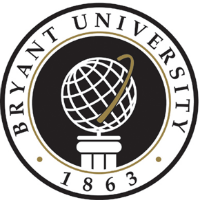 Rhode Island’s Smithfield-based Bryant University offer a comprehensive undergraduate and postgraduate accounting program with a focus on in-depth business knowledge and an advanced curriculum. Bryant University students can pursue an accounting concentration during their undergraduate studies and can choose to enroll in the Master of Professional Accountancy program as a way to meet CPA requirements. What is more, Bryant undergraduates can take Master’s level courses in their senior year. The school boasts a highly qualified faculty including a former Big Four partner and successful accountants from different industry sectors. The College of Business at Bryant University is also one of only four Rhode Island schools to have received AACSB accreditation. Students benefit from a wide range of opportunities to supplement their learning through internships, directed study projects, study abroad programs and faculty-led short-term programs. These opportunities add to the comprehensive curriculum in order to create a well-rounded educational program able to give Bryant graduates an edge in the business world. [qs_incontent state=”RI” areaofinterest=”ACCOUNTING” campustype=”both”]The prestigious University of Rhode Island is the only school in the state to hold separate AACSB accreditation for its undergraduate and graduate accounting degree programs. The Accounting major is one of the largest on campus and boasts excellent graduate placement rates, while the Master of Science in Accounting reports a long list of highly successful alumni. Undergraduate accounting students at the University of Rhode Island are required to take courses in intermediate and advanced accounting, taxation, auditing, finance and information systems. Master of Science in Accounting students benefit from a tailored education, with a mixture of core accounting courses as well as accounting and business electives. Topics include accounting theory, taxation, financial statement analysis, auditing, management, financial theory and many others. What is more, graduate students can opt for an internship and a directed study project that count towards credits in the program. With an effective careers service, a well-rounded curriculum and excellent credentials, the University of Rhode Island can be a great place to start your accounting career in Rhode Island.